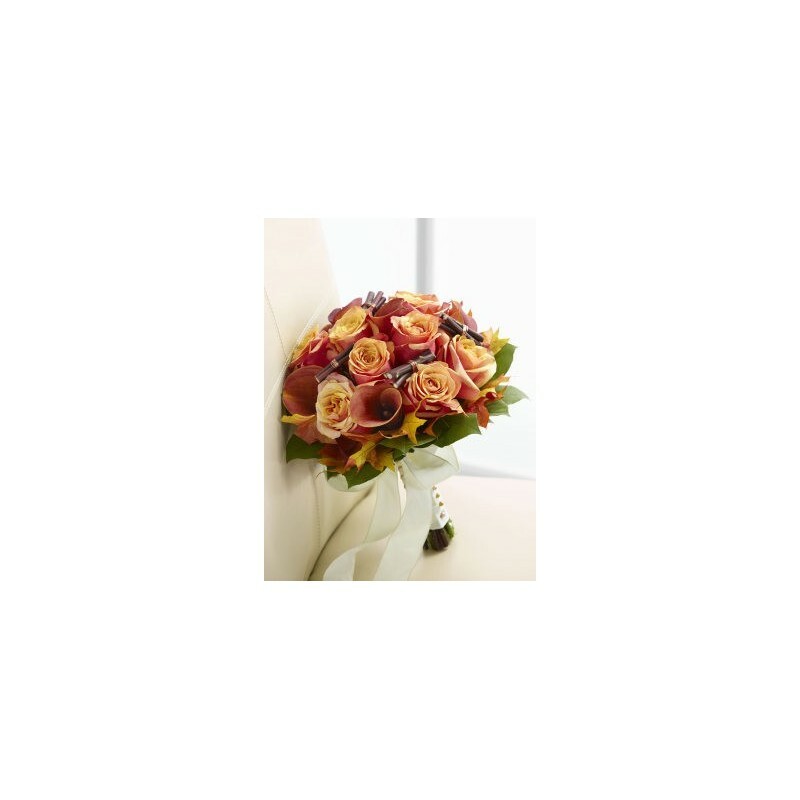 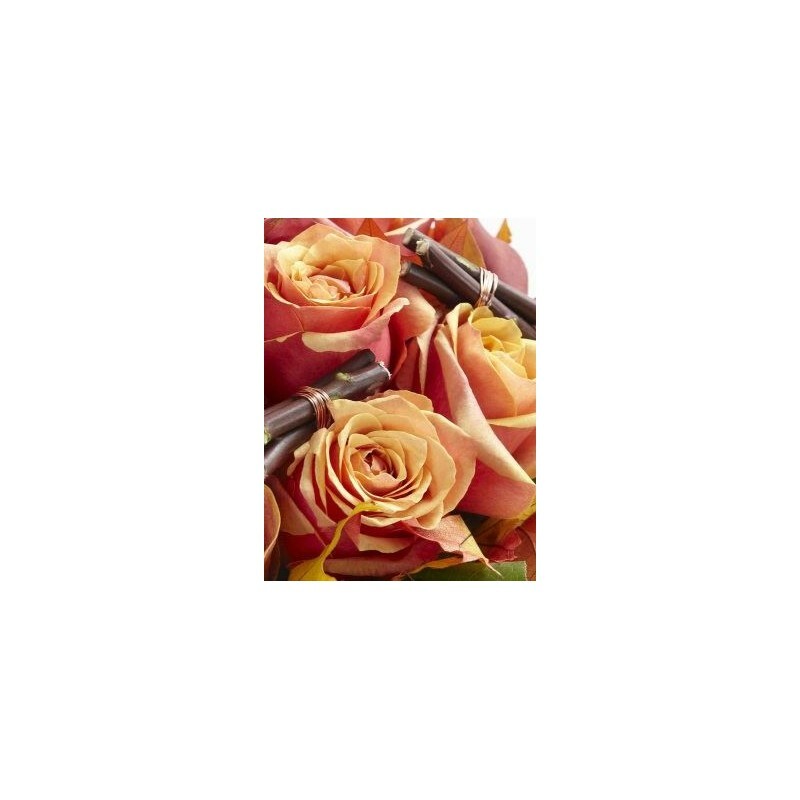 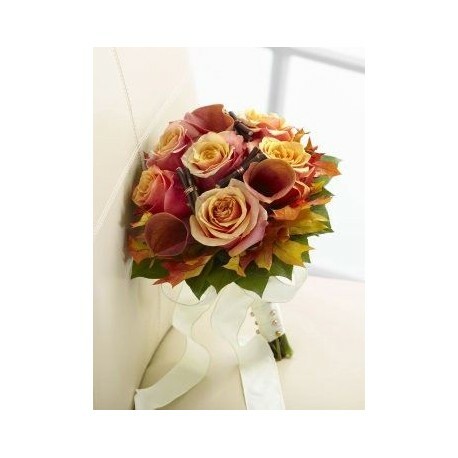 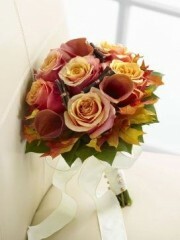 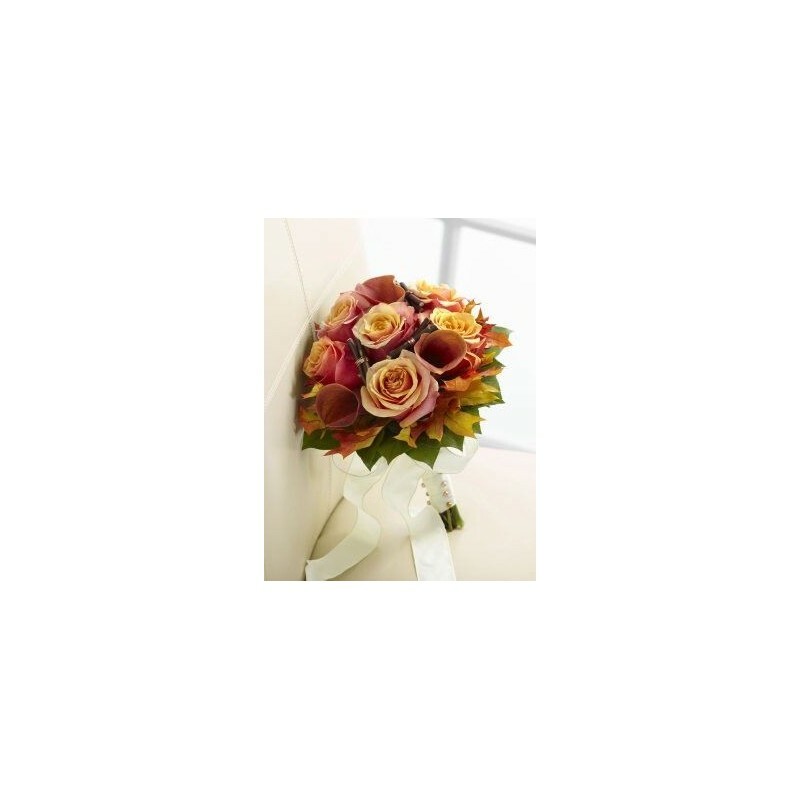 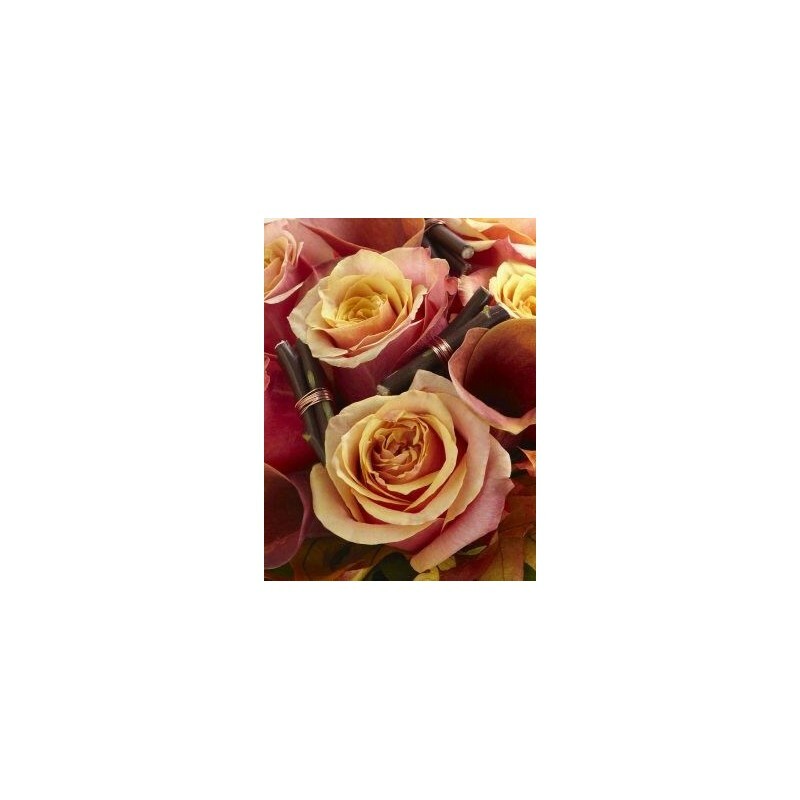 The Everlasting Love Bouquet is a warm and inviting bouquet to give you the perfect wedding look. 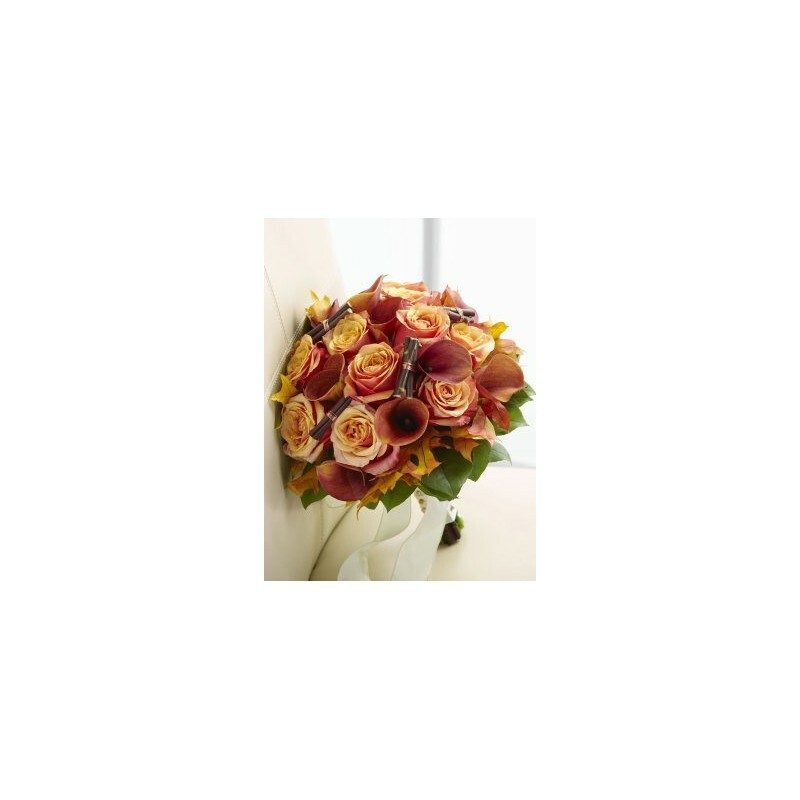 Stunning Cherry Brandy Roses display their unmatched beauty while mingling with mango mini calla lilies and fresh, lush greens. 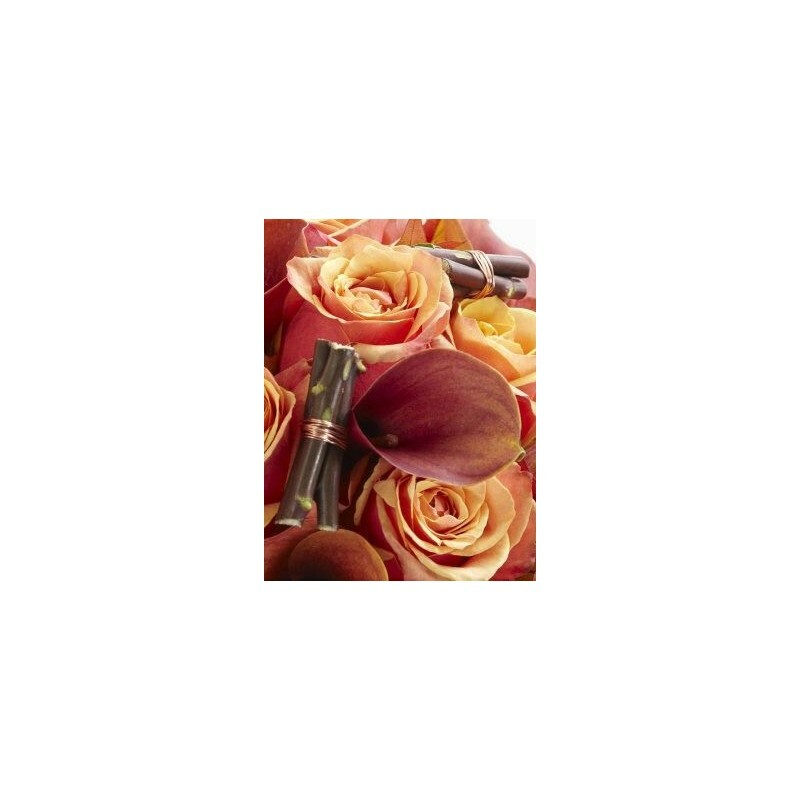 Accented throughout with preserved oak leaves and copper metallic wire and then tied together at the stems with a dramatic ivory French taffeta ribbon.